Bethany Baptist Church is located at 149 Beatie Street. The church has been serving the Syracuse community since 1887. Over the past few years the church has been making some improvements to the exterior of the building and surrounding landscape. Managing stormwater runoff throughout the site was a difficult task, due to the large amounts of impervious surfaces. 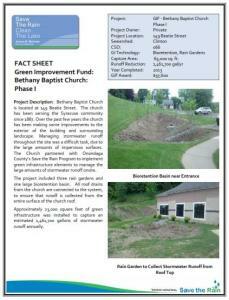 The Church partnered with Onondaga County‘s Save the Rain Program to implement green infrastructure elements to manage the large amounts of stormwater runoff onsite. 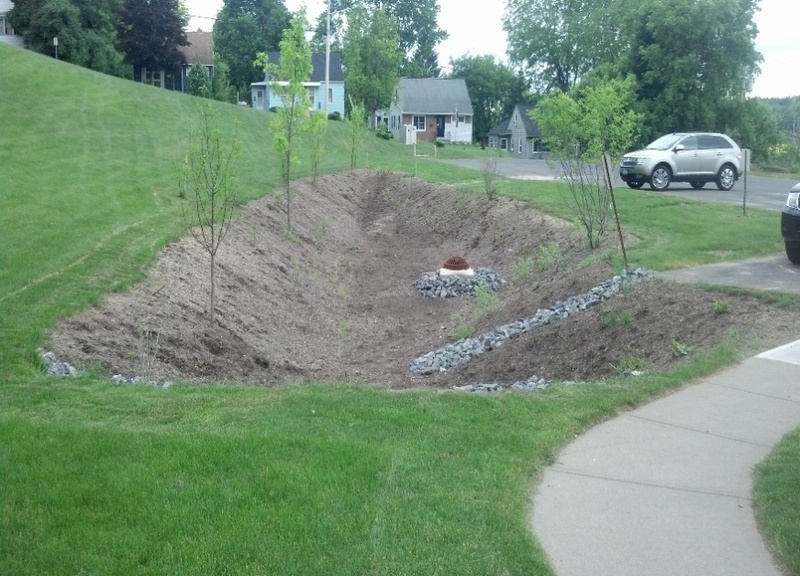 The project included three rain gardens and one large bioretention basin. All roof drains from the church are connected to the system, to ensure that runoff is collected from the entire surface of the church roof. Approximately 23,000 square feet of green infrastructure was installed to capture an estimated 1,461,700 gallons of stormwater runoff annually.